2 Minute Vlog: Why Should Pastors Be Aware of Mental Health Issues? I am grateful that the North Carolina Baptist Convention wanted to address this important question. If you want to know more about walking with someone through the experience of depression or anxiety from the vantage point of suffering, I would recommend this resource. 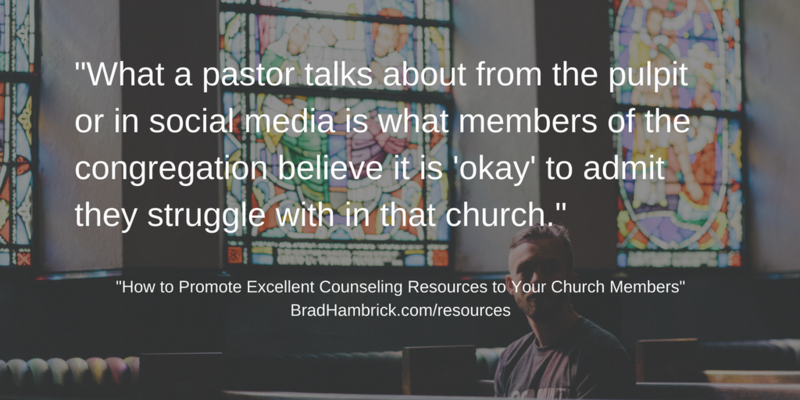 Pastors: be aware of mental health needs from NC Baptist on Vimeo. If this post was beneficial for you, then consider reading other blogs from my “Favorite Posts on Mental Illness and Medication” post which address other facets of this subject.